More than a full year after it debuted at MIFF, Cut Snake finally has its cinematic release in Australia. A gritty local crime thriller might be easy to overlook, but what unfolds within its narrative sets it apart from the rest. Lovable larrikin or violent crim? 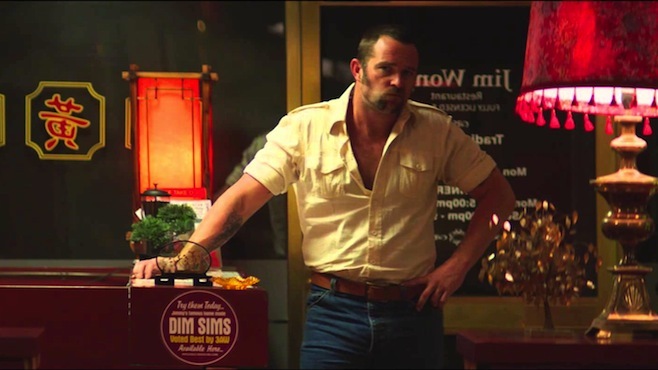 We are introduced to Pommie (Sullivan Stapleton) as he walks the streets in his short shorts after being let out of prison. It’s clear from the outset we’re dealing with the nasty side of Australia, with Pommie a hardened criminal hiding behind a mask of larrikinism. 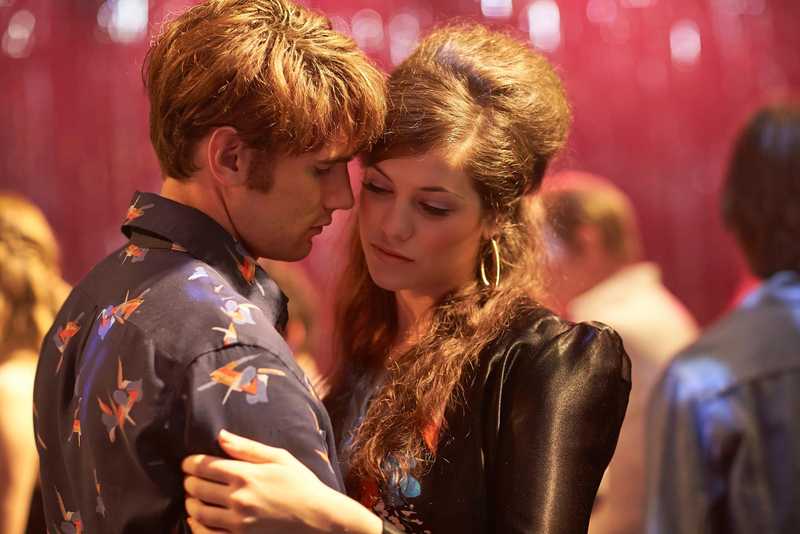 These initial unsettling vibes are juxtaposed with the introduction of Sparra (Alex Russell) and his fiancée Paula (Jessica De Gouw), a young couple living a seemingly innocent life in the outskirts of Melbourne. Pommie soon tracks them down, turning on the charm for Paula, while trying to lure his former cellmate Sparra back to a life he’d left behind. Following on from international success as the star of 300: Rise of an Empire and a role in Gangster Squad, Sullivan Stapleton shows off his range as the menacing Pommie. Much of the film is spent wondering just how much Pommie is capable of – we know he’s a violent offender, but would he ever hurt a woman? His early interactions with Paula are accompanied by a sense of unease, and the audience’s discomfort grows for some time. Jessica De Gouw (seen last year in These Final Hours) is a fine choice for Paula, a character who stands tall in a world so far removed from her own. Alex Russell almost falls into the trap of being rather vanilla next to these strong performances, but successfully portrays Sparra’s battle between his past and present. Cut Snake is screenwriter Blake Ayshford’s first feature film following various contributions to television, and he serves up a stunning twist. The story really comes alive following this revelation, making the film so much more than just another Australian noir thriller, and one that possesses real beauty. Many comparisons have been made with the critically acclaimed hit Animal Kingdom, with many considering Cut Snake to be inferior. 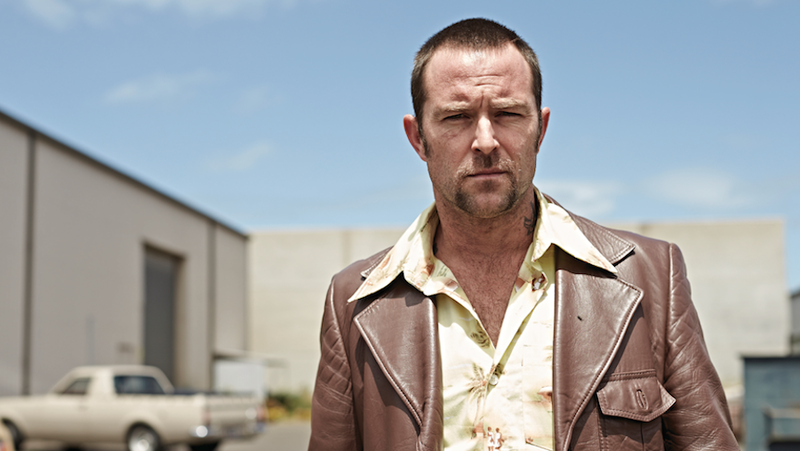 However, aside from both being Australian films about criminals (and both starring Sullivan Stapleton) they are vastly different stories, and the comparisons seem unfair. Director Tony Ayres succeeds in bringing Ayshford’s script to life and he sets the pace for a compelling film that is thrilling to the finish. Cornel Wilczek’s score heightens the sense of apprehension, and seemingly references the snake of the film’s title. Not all viewers will appreciate the unexpected turn of events, and may feel like they’ve walked into the film under false pretences. But those with an open mind will hopefully appreciate the risk taken by these filmmakers in what is an impressive contribution to Australian cinema. This review was first published at Film Blerg.